Grew Up... happy and popular. Lexie was raised by her loving parents Thatcher and Susan Grey. 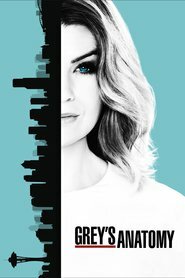 She grew up alongside her younger sister Molly and they were both shocked to learn much later in life that they also have an older half-sister named Meredith Grey from their father’s first marriage. Living... in Seattle, Washington. She moved back to the city after graduating from Harvard Medical School to be close to her dad and hopefully get to know her mysterious half-sister. Profession... surgical intern at Seattle Grace Hospital. And like most interns, Lexie often feels like she’s in entirely over her head. It’s one thing to excel at medical school, but flourishing in the high-pressured world of a hospital is something else entirely—particularly when her mentor Cristina Yang can’t even be bothered to remember her name. Interests... binge eating when stressed, putting her photographic memory (which earned her the nickname “Lexipedia”) to good use, and supporting her friends. Relationship Status... single. There are more than enough eligible bachelors at Seattle Grace, but Lexie’s too busy with her internship to notice… for now. Challenge... getting to know her sister. Lexie would love nothing more than to have a relationship with the sister she never knew she had. Unfortunately, dark and twisty Meredith isn’t so keen on adding any peppy new family members to her life. Although Lexie is determined to break down Meredith’s walls, Big Grey sure isn’t making it easy for Little Grey. Lexie Grey's popularity ranking on CharacTour is #857 out of 5,000+ characters. See our top-ranked characters and read their profiles.